The historic writing cabin of Steamboat author John Rolfe Burroughs, known as the Dog House, was removed from its original site on Maple Street in summer 2010. Steamboat Springs — John Rolfe Burroughs’ historic writing cabin, the Dog House, finally has found a new home at the Hayden Heritage Center. Bob Schneider, who has provided a temporary home for the historically significant log cabin since summer 2010, confirmed this week that the Dog House movers are coming to his rural property west of Steamboat Springs on Sept. 19. The Dog House is where Burroughs wrote such classics of Western nonfiction as “I Never Look Back,” the story of the late, great Steamboat ski racer Buddy Werner, and “Where the Old West Stayed Young,” which won the author one of his two Western Heritage Awards from the Cowboy Hall of Fame. Burroughs lived in a home on a quiet Old Town street not far from Steamboat Springs High School. The Dog House, his writing retreat, was on the same lot as the home. 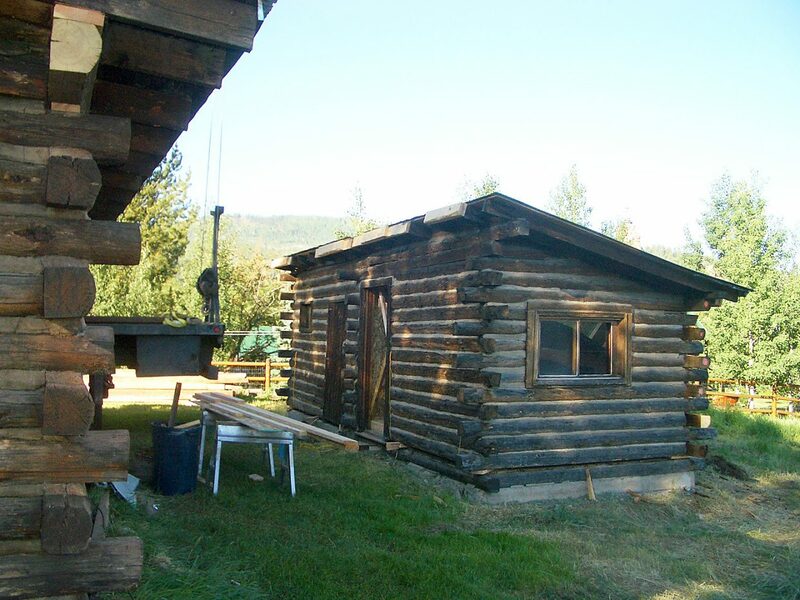 The need to move the cabin arose when the current owners sought to enlarge and modernize the original house; they needed the land the cabin stood on. Schneider and his wife, Jean, facilitated the complicated cabin-moving process at significant expense and agreed to keep it on his rural land until an appropriate new home was found. But Schneider never dreamed that would take four years. Heritage Center Director Laurel Watson said the museum in Hayden was offered the Dog House early in the process, but as a member of Historic Routt County, she thought the cabin belonged in Steamboat Springs. However, when earlier this year it looked like the cabin’s new home might end up at the history museum in Savery, Wyoming, Watson was paying attention. When Savery ultimately declined, Hayden stepped in. Watson was referring to the late Steamboat Pilot publisher Charles H. Leckenby, who published “The Tread of Pioneers” in 1945. The Dog House will spend one more winter in limbo, sitting on a vacant lot acquired by the museum as an expansion space. But come spring, when the museum intends to tear down a steel storage shed next to the museum, Burroughs’ Dog House will be reassembled carefully on the concrete pad that supported the old shed. The author’s writing desk will be installed there, and Watson is seeking historic Burroughs memorabilia, perhaps a vintage photograph of Burroughs in his Dog House. And, of course, there will be a fundraising campaign in the spring. Routt County’s most celebrated author will not be forgotten and will continue to have a physical presence in the Yampa Valley.